Costa Rica's Highlights in a Budget-Friendly Vacation Package! See Costa Rica’s highlights even if you’re traveling on a tight budget! Affordable Costa Rica is great for frugal travelers, where you’ll be visiting the equally famous Arenal Volcano area and Manuel Antonio. Your adventure begins in La Fortuna, where you’ll stay at Lomas del Volcan under the base of the magestic Arenal Volcano. Explore the lush nature trails, teeming with tropical wildlife, and experience some of the best tours offered in Costa Rica! 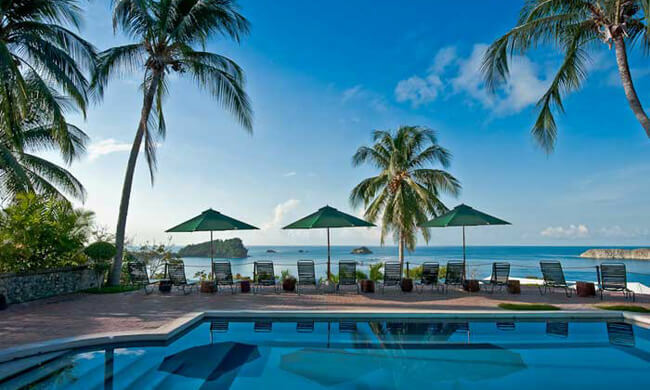 Then, go to the world-renowned beach and national park Manuel Antonio, where you can relax and take in the sun. Visit the national park, enjoy the great dining options (your hotel—Costa Verde, boasts one of the quirkiest place to dine in Costa Rica—El Avion restaurant) and choose between numerous activities: snorkeling, canopy, horseback riding… you name it, we have it! What’s included in ‘Affordable Costa Rica Family Vacation’? All private transfers include an English-speaking driver. 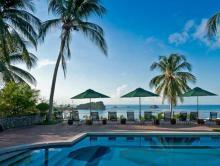 *Package price range indicates luxury, moderate, or affordable lodging combinations. "$$$$" signifies the value of more than $2,500 per person, "$$$" price range of $1,500 to $2,500, and "$$" price range of $1,000 to $1,500 per person, based on double occupancy. 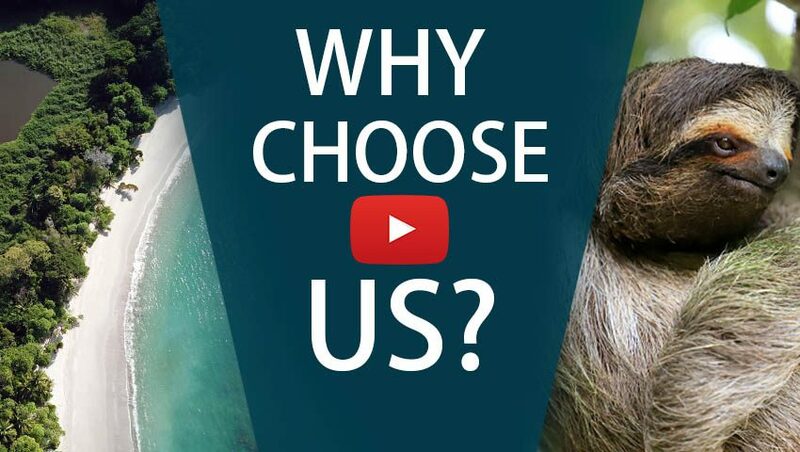 You will receive a 100% accurate price when you inquire with us and share your travel dates. Final package pricing includes taxes, domestic transport, tours and lodging as described unless otherwise indicated. The package does NOT include international airfare or optional travel insurance or any other services not expressly mentioned. Day 1: Welcome to Costa Rica! Arrive in San José, where one of our representatives will meet you and show you to your private transfer. 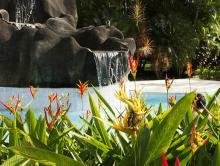 From there, travel to La Fortuna, where you will stay at the base of the towering Arenal Volcano, in Lomas del Volcan. Lomas del Volcan with its rustic mountain cabins is perfect for nature lovers who’d like to enjoy unspoiled volcano views, up-close and personal. La Fortuna is the tour capital of Costa Rica, anything from extreme adventure (waterfall rappelling, zip lining, and white water rafting) to medium or light nature walks (hanging bridges and volcano hiking) and relaxation in numerous hot springs. Take your pick! Enjoy the Costa Rican countryside with new friends as your shared transport takes you to the famous Manuel Antonio area where you’ll stay at the exotic Costa Verde Hotel. Watch the scenery change dramatically, from foggy mountains, green grass, and cows, to the tropical sea views that you’ll enjoy at your next destination. Relax at the three cliff-side swimming pools at Costa Verde, explore the national park and its serene beaches, and enjoy sunsets over the bay, while dining out—there are numerous outstanding options to choose from. And don’t miss out on the chance to have dinner or drinks in a true-to-life grounded airplane, at El Avion, one of the most famous bars in the country. Time to fly back! Your private transfer will take you once again through the beautiful Costa Rican landscape to San José’s International Airport. The hotel’s rustic mountain cabins are perfect for nature lovers, couples, and families with older children looking for value and relaxation. The hotel features several options for accommodation including suites, studios, efficiency units, and a fantastic home harbored within a vintage Boeing 727. There are no tours included in this package. To customize your tours for this package please contact us today. To learn more about tours and things to do please read our travel guide.